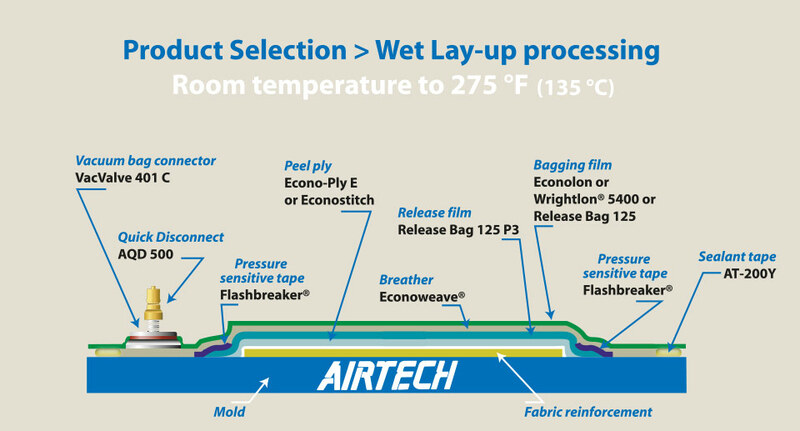 Hand laminated moldings benefit greatly from the application of vacuum bag to consolidate the laminate and draw out trapped air. Vacuum bags apply even pressure to complex shapes. Atmospheric pressure, 14.7 lbs. per square inch (2,000 lbs. per square foot) can be applied. 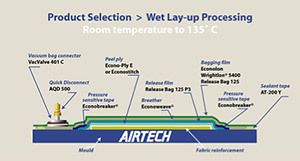 This predictable and consistent pressure application consolidates laminates. Our range provides inexpensive materials providing substantial improvement in molding quality.